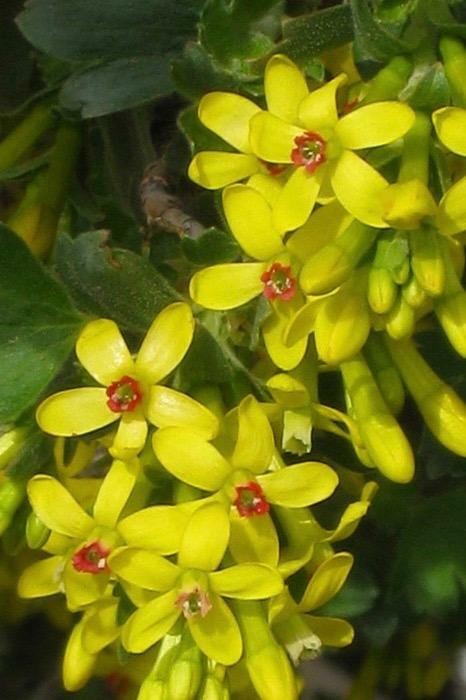 Sweetly scented rich yellow flowers on pendant racemes, March to April. Light green currant like leaves. Good for early bees. 2m tall. Sun or semi shade. Happy on most soils.